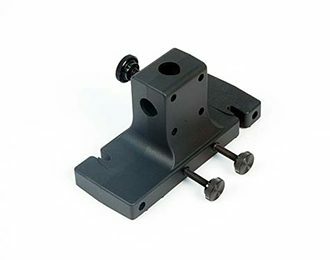 This accessory allows the Smart Cart to be suspended from a rod stand. Use the Smart Cart’s force sensor to measure the force of an oscillating spring and mass. The Smart Cart can be mounted directly to a vertical rod or to a horizontal cross-rod.